✅ EOS is a next-generation operating system and infrastructure blockchain for decentralized applications. They aim to solve some of the current blockchain issues like scalability and the disproportionate transaction fees. EOS has 4 main pillars: scalability, flexibility, usability and governance. Recently the EOS project has been the topic of various industry news outlets, as a lot of problems surfaced in the midst of their network main net launch and token swap. This article elaborates on the current governance issues that are a hot topic as some of the proposed necessary changes go directly against the EOS whitepaper, that’s considered the constitution of the EOS blockchain. You can trade EOS on Huobi Pro. Four different trading pairs are available to trade, EOS/ USDT, EOS/BTC, EOS/ETH and EOS/HT. If you do not have a trading account yet, you can sign up here. Digital asset exchange, Huobi Pro broadcasts an interactive, weekly show on YouTube, called Huobi Talk. This past week Huobi Talk was dedicated to the EOS project. Various EOS block producer representatives were invited to pitch in about the problems the blockchain faces after its mainnet launch and suggested constitutional change to the EOS governance system. The EOS block producers’ panel discussion led to a heated argument between block producers that voted for the constitutional change and block producers that voted against the constitutional change. ✅ Before the launch of the EOS mainnet, on the 15th of June, a list of projected candidates for the position of block producer was created. A total of more than 370 candidates entered the election. After the election took place, EOS appointed 21 of the highest-ranking candidates for the EOS block producer position. These 21 block producers are instituted to be the nodes to the EOS network. As the EOS network gatekeepers, they are in charge of maintaining the blockchain. Other actors in the EOS network are the arbitrators (EOS Core Arbitration Forum) and EOS token holders. While in essence the block producers can make a network centralized, the implemented governance system should balance it out and make the network decentralized because of the voting system in which EOS token holders can cast their votes; giving the community important decision making rights. Whenever there is an issue where a party isn’t in agreement with the actions of a block producer, the EOS whitepaper states an Arbitration Forum can independently rule on a dispute. 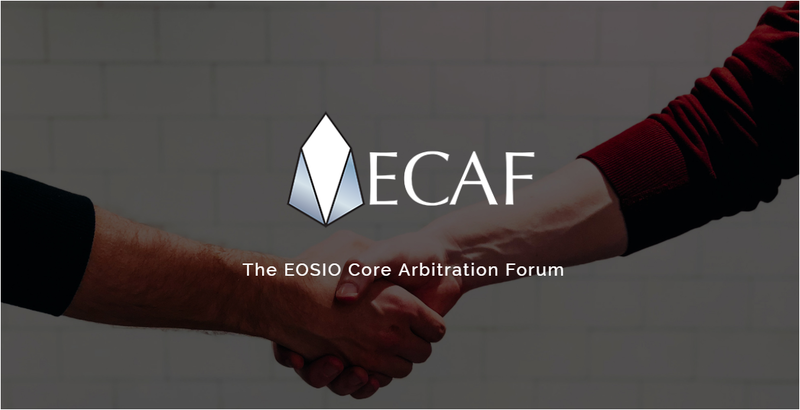 The EOS Core Arbitration Forum (ECAF) are the independent professionals that aim to rule a dispute fairly in providing an issue-outcome that’s sufficient to the needs of the EOS community. Arbitration is an alternative dispute resolution (ADR) system that offers official rulings about an ongoing dispute that seeks a solution, without going through the official court system. Recently the ECAF has gained a lot of attention by freezing EOS accounts that are suspected of phishing propaganda or hacking. ✅ On the 17th of June, a group of EOS top block producers unanimously decided to halt seven EOS addresses from being able to make transactions, using the EOS911 initiative to justify their decision. This was controversial as the appointed ECAF arbitrator initially refused to rule on the issue, and then after the fact they publicly stated they endorsed it. The addresses were blocked as they showed signs of fraud by malicious actors. A few days later the ECAF announced it wanted to freeze another 27 EOS addresses that had been flagged for potential fraudulent behavior. At this point the ECAF did not give a reason for the order, it only stated it would announce a full report about it later on. Yet another few days later a potential ECAF order surfaced that turned out to be fake, leaving EOS block producers in the dark about whether or not ECAF orders are legit or fake. 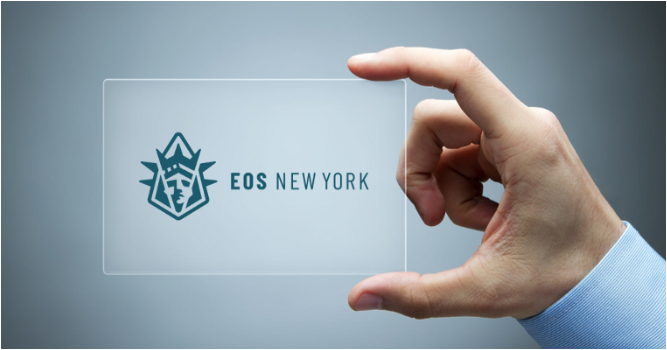 Adding to the fuel, EOS block producer “EOS New York” had announced that: until they can be sure that a decision came from the ECAF, it will temporarily halt complying with the demands of the ECAF. The lack of a central repository of ECAF verdicts, an absence of an official communications channel and all the verdicts, decisions and information being communicated off-chain, made EOS New York take this route of disobeying the ECAF. The state of the current governance in EOS has its flaws and need to be fixed. ✅ Dan Larimer, CTO of EOS, together with the project developer Block.one, have proposed a new constitution to solve the current governance issues. According to Larimer, the current state of the governance system gives too much power to the arbitrators. He proposes a restructuring of the network’s governance system in the EOS constitution to rebalance the powers given to the different network actors, mostly taking back a lot of the unlimited power given to the arbitrators. ✅ As I see it, while decentralization is the ultimate goal for blockchain projects, in the current state of blockchain affairs it’s more of an end goal then a starting point. There are still a lot of issues that need to be ironed out in order for a governance system to work properly. When time is of the essence a system like arbitration doesn’t work, because when you wait too long the damage has already been done. The ultimate resolution of the governance system failures might take a lot of time and effort. Security should always be more important than governance, because it is the base of a good blockchain project and governance is a nice addition. This article by no means intend to give an in-depth overview of the current EOS governance issues. It only scratched the surface as this isn’t an easy fix or small issue. To believe that a whitepaper will be implemented and always be fully compliant with, in the future isn’t a realistic approach. Like other blockchain projects, EOS also faces some challenges that need to be overcome in order to succeed in being the next-generation blockchain. The three different actors in the EOS community, being the 21 block producers, arbitrators and token holders, should all agree on a satisfiable solution to the current governance issues in order to move forward and show the world what they are building/supporting. They will need to be time-efficient in doing so as other next-generation blockchain projects are trying to catch up and eventually outpace the EOS blockchain. This article is not intended as investment advice. It is just my personal opinion about the EOS governance system. You should always do your own research. Huobi Pro incentivizes me for writing this article and supports me for ventilating my own personal opinion. Full disclaimer: I own a small portion of EOS tokens. Subscribe to my channels Steemit, Medium and Twitter if you would like to be informed about Blockchain en cryptocurrency news. My handle is @LindaCrypto for all channels. You can also read my articles on LinkedIn. If you like my article please give me a clap. Thank you!